In my world, words on boxes have to make sense. 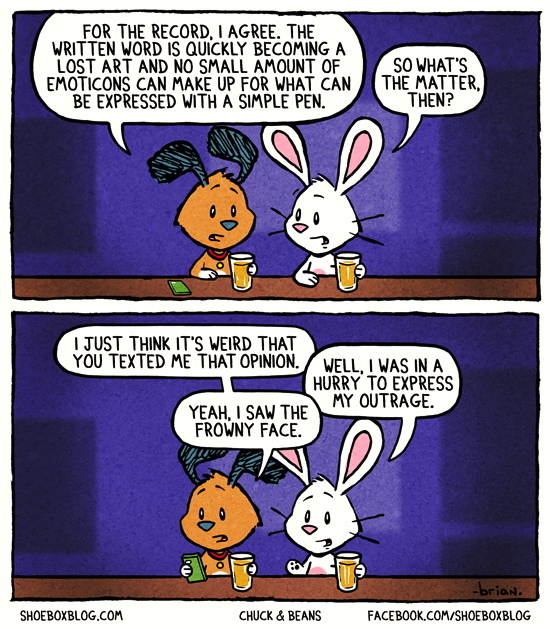 Do you think that outrage is adequately expressed by a frowny face emoticon? Texting is, of course, the written word. But then there are emoticons. Where, oh where, is a sound-proof, padded room when you need one? One should not have to think about something which should have been learned by the age of 11 or 12.